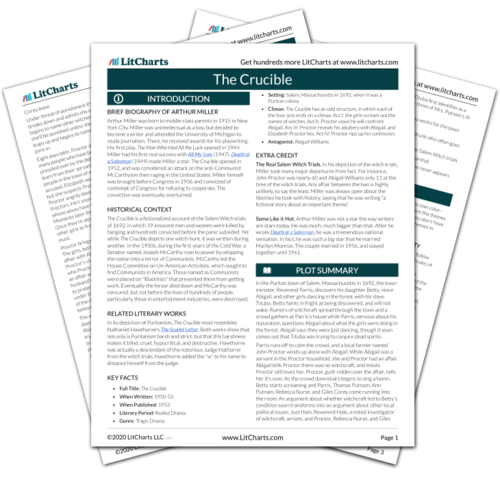 Instant downloads of all 942 LitChart PDFs (including The Crucible). 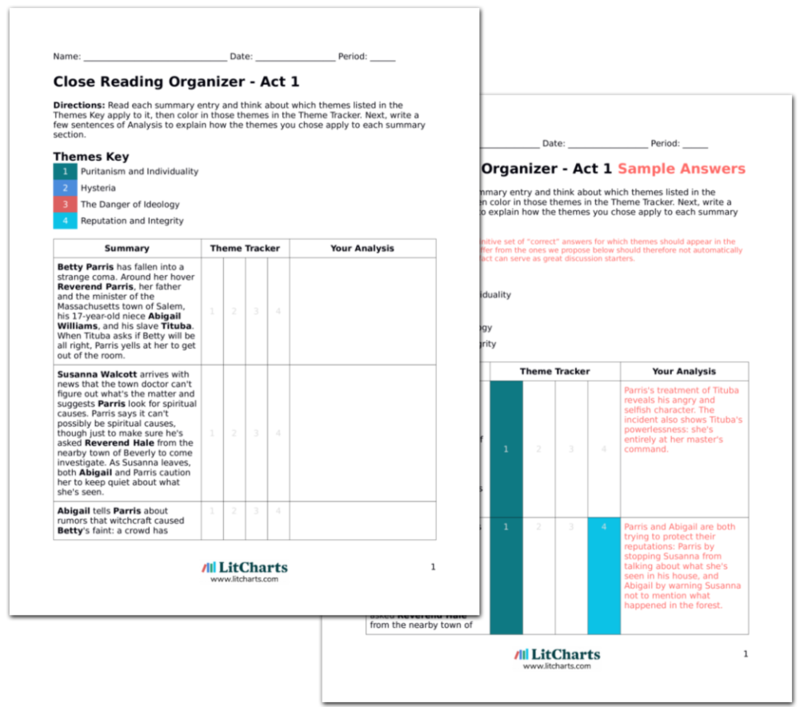 LitCharts assigns a color and icon to each theme in The Crucible, which you can use to track the themes throughout the work. In The Crucible, neighbors suddenly turn on each other and accuse people they've known for years of practicing witchcraft and devil-worship. The town of Salem falls into mass hysteria, a condition in which community-wide fear overwhelms logic and individual thought and ends up justifying its own existence. Fear feeds fear: in order to explain to itself why so many people are afraid, the community begins to believe that the fear must have legitimate origins. Florman, Ben. "The Crucible Themes." LitCharts. LitCharts LLC, 22 Jul 2013. Web. 13 Nov 2018. Florman, Ben. "The Crucible Themes." LitCharts LLC, July 22, 2013. 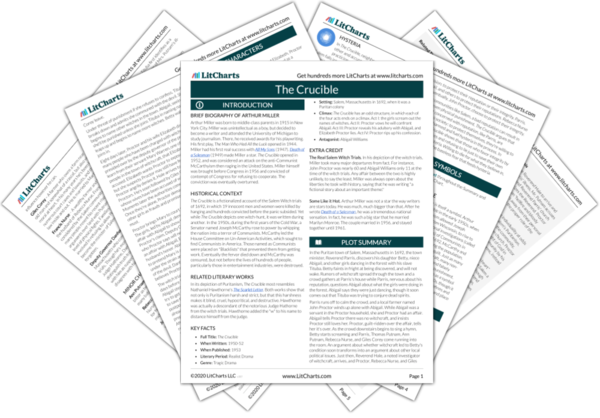 Retrieved November 13, 2018. https://www.litcharts.com/lit/the-crucible/themes.